The name 'Forró de KA' is a play on the abbreviation of the German city, Karlsruhe (KA), the band’s hometown, and the sound of the word cá, in Portuguese, which is a way to say here. 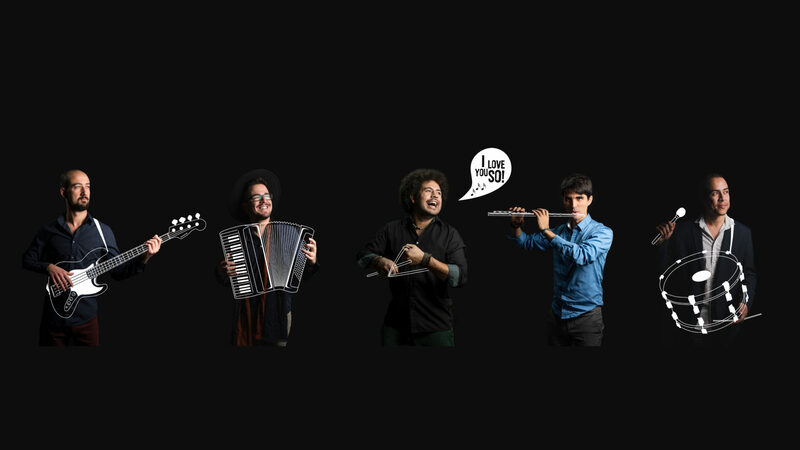 Breaking barriers is one of the band’s major characteristics, noticeable in its quest for a language and expression of its own, where tradition and innovation merge in a harmonic dialogue. The group's uniqueness and creativity is most apparent when, in addition to the classic forró pé-de-serra, their own compositions take the center of the stage, pushing the setlist beyond the expected by adapting a variety of famous international composition to forró. Forró de KA has brought its enthusiasm and music to several festivals, such as the forró festivals of Stuttgart, Freiburg, Aachen, Lisbon and Weggis, as well as 'Tollwood Festival' in Munich, 'Festival of African Culture' in Frankfurt, 'Festival of People´s Understanding' and 'Das Fest' in Karlsruhe, not to mention concerts in Berlin, Porto, Vienna, London, Geneva and Zurich. In the Summer of 2017, Forró de KA proudly released its first album called ‚Revolution'.